the north shore of False Creek. Restaurant critics from around the globe have recognized Vancouver as the best city in the world, outside of China, to eat Chinese food. Publications from the New York Times to Gourmet Magazine, in their acknowledgment of the Asian dining scene, are quoted as saying Vancouver rivals even New York and San Francisco. With the Chinese Restaurant Awards for the first time we can acknowledge and rate the cuisine of Lower Mainland Chinese restaurants in a way that recognizes that. The first awards ceremony of its kind in Canada, these awards recognize the Chinese restaurant industry and that the high quality of Chinese dining is a driving force in the BC tourism business. Vancouver’s success as a top destination of choice by Chinese travelers is greatly enhanced by its wide selection of high quality restaurants and by publishing a list of both critics’ choice and diners’ choice winners, the Chinese Restaurant Awards will also serve as a guide to locals and visitors as where to find the best Chinese cuisine in the region. Selected by an esteemed panel of judges comprised of food journalists, chefs, culinary instructors and business leaders in the Chinese and Western community, an esteemed panel of acknowledged experts in the cuisine of China were brought together to look at how best to judge the cuisine. 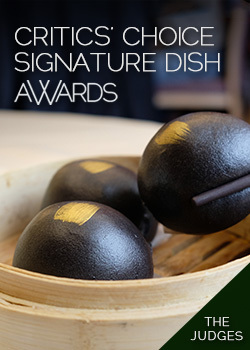 It was decided that the awards would be given in the same way the Chinese community chooses a restaurant, by what to eat, rather than where to eat – This would be called the “Signature Dish” as unlike other dining awards restaurants were rated on their cuisine, rather than décor and service and more specifically a particular dish, or signature dish. The judges selected over 500 dishes and over 350 restaurants among them sharing their knowledge and expertise at panel discussions throughout 2008. From there it was shortened down to just 25 of the top dishes. 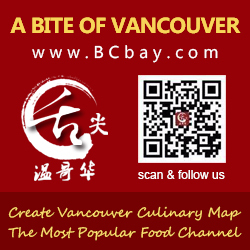 A few restaurants won in more than one category such as Chinatown’s Jade Dynasty; Sun Sui Wah, a venerable Vancouver favourite with Asians and non-Asians and Sea Harbour, a Richmond institution. But it was two small restaurants that made a real impression on the judges for overall quality in their food, Long’s Noodle House on Main and the recently relocated Lin Chinese Cuisine & Tea House at Broadway and Granville. Nominations were based on taste, presentation and creative use of key ingredients as well as the use of local and in season, ingredients. The prizes were awarded by representatives of the Asian community; Edgewater Casino; MCL Motor Cars – Bentley & MCL Motor Cars– Porsche; Chivas Regal; Tiger Beer; Camilla Tea Oil; Aroma Tea House; BC Seafood Alliance; Island Scallops Ltd.; Pagoda Brand Xiaoxing Rice Wine; Stile Wines and Guo Jiao 1573.